MicroSociety® was first conceived by the late George H. Richmond, a painter, poet, author and educator. Raised in poverty by a single mother in Manhattan’s Lower East Side, he overcame his disadvantage s to graduate from Yale and eventually earn a Masters and Ph.D. at Harvard. 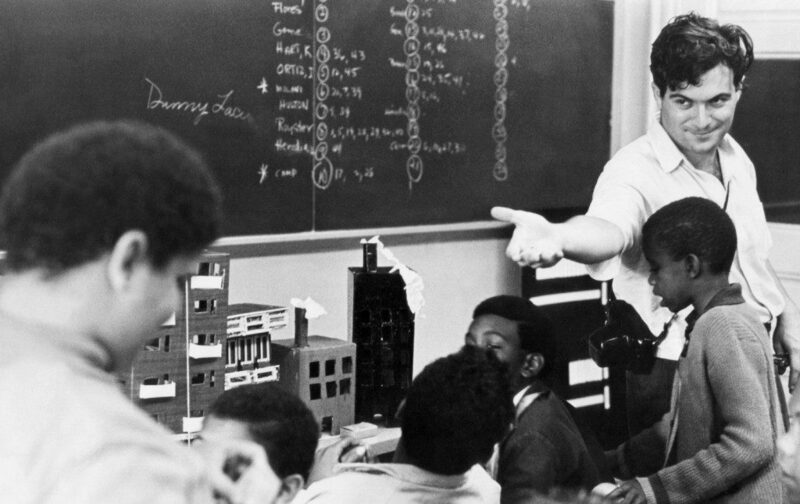 His first job at a New York City elementary school in 1967 was a rookie teacher’s nightmare. Students skipped class, scorned homework and slept through lectures, their apathy and cynicism surpassed only by their appetite for classroom warfare. From his frustration was born a new vision for teaching. Richmond and his wife, Carolynn King, a Harvard trained educator with a law degree from Villanova, launched the Consortium of MicroSociety Schools, an association of like-minded educators interested in society building as a strategy to ignite students’ desire to learn. Later, the two established MicroSociety, Inc. (“MSI”), a non-profit consulting service. They wrote the first MicroSociety Handbook and along with a few trusted educators wrote a library of curriculum and a three year training sequence for teachers. By 1999, MSI became a full service professional organization working with schools in some of the Nation’s most at-risk communities and was approved by The U.S. Department of Education. For ten years, refinements and adaptations to MicroSociety were made in order to address the needs of varied populations and relationships with over 60 school districts were built and maintained. By 2010, MicroSociety had been implemented in more than 300 elementary and middle schools impacting 250,000 students in 40 states and by 2013 schools opened in Bermuda, Canada, Indonesia, South America, Africa and South Korea. During this time, MSI created a MicroSociety school after school model, a summer program and most recently launched MicroSociety STEM City™ Saturday. In a world that demands preparation to add value with increasing complexity, MicroSociety students have years of experience solving real world problems, thinking critically, collaborating in diverse teams and connecting subject matter and experiences in ways that foster creativity. From the time they enter the building each day, they are citizens aiming to achieve sustainable change in their world and ours. Graduates are more than college and career ready, they are innovation ready, equipped to take on global challenges and what’s more, they are intrinsically motivated to learn new knowledge and skills and to create new jobs when existing careers disappear.